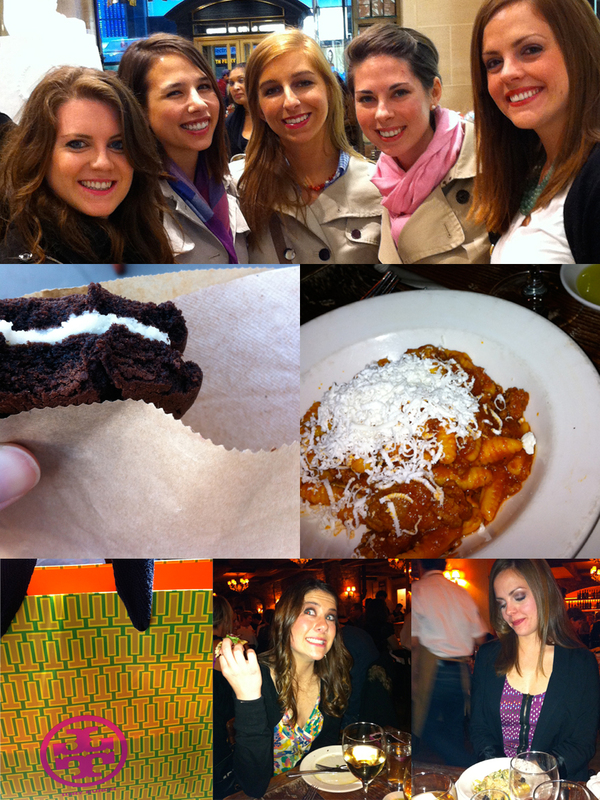 I simply love: ...NYC with my best friends! Last weekend included too much shopping, too much eating, and lots of girl talk! It was so much fun visiting our friend Molly and indulging in amazing pasta (even if the noodles resembled worms). There was also a little wine (or a lot) and a hazelnut topped chocolate cake! all photos pathetically taken on my iphone. I need a real camera.